During football season my television is all football all the time….at least when they are playing. On the weekends I have learned to embrace the football and keep snacks and football food on hand. 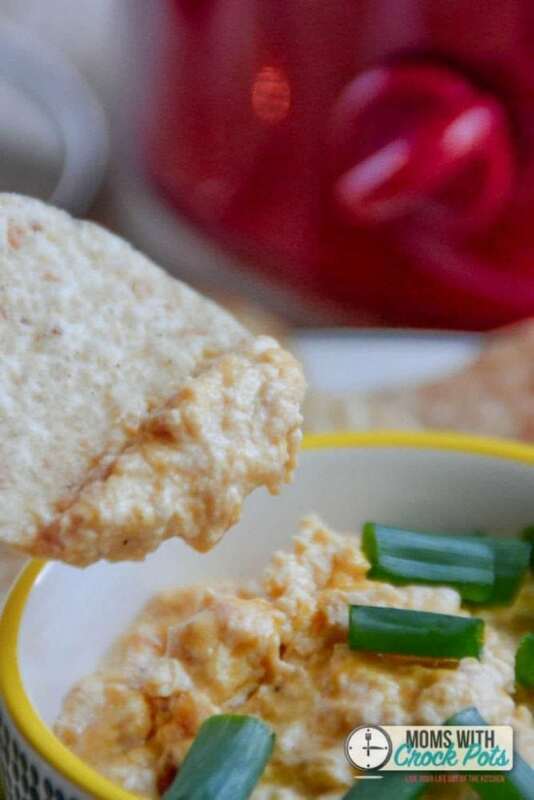 This Crockpot Buffalo Chicken Dip is a favorite and super easy to make! This is one of those dishes you whip together and toss everything into the crockpot. 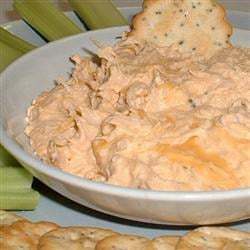 I put this in my small 2 qt crockpot that is perfect for dips. Mix in half of the shredded cheese, and scoop the mixture into a slow cooker. 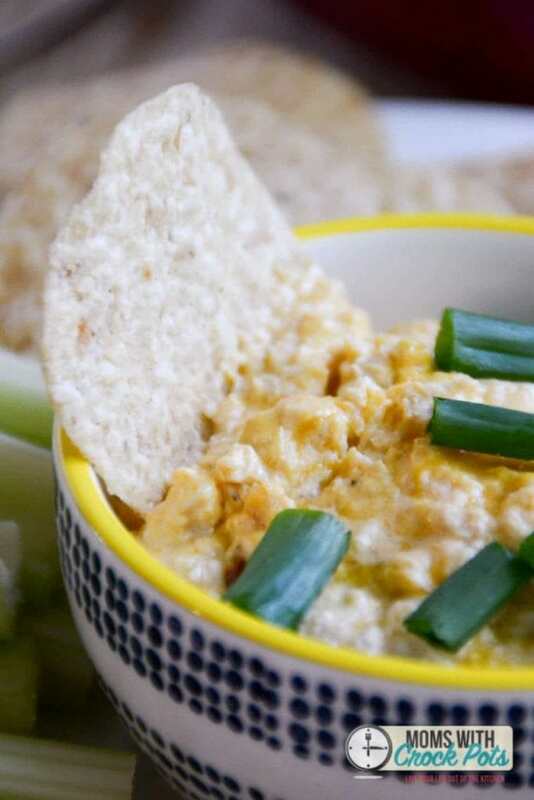 Get this dip started the night before and just refrigerate until about an hour before the party. Pop it in the crockpot and you are good to go! 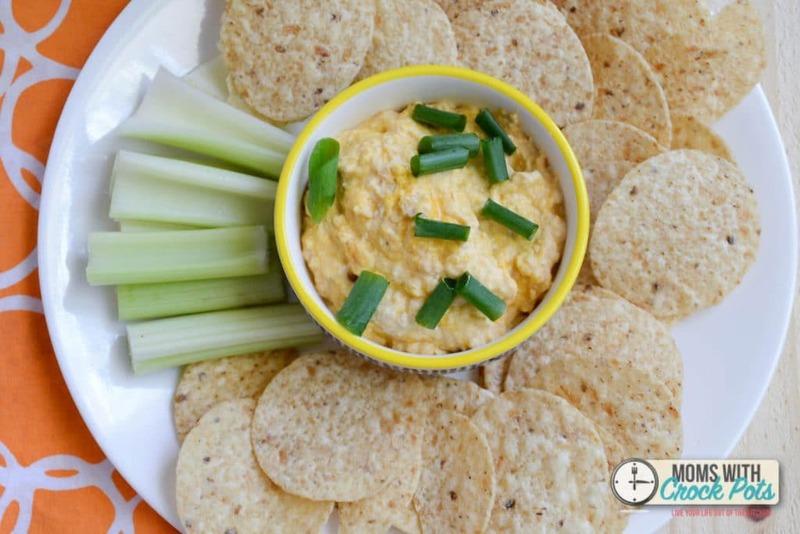 Gluten Free- You can use gluten free crackers or those new Food Should Taste Good Chips, but check the labels on the ranch dressings. They may contain wheat. This would even make a great spread for sandwiches! Hey it’s a 2 for 1! Thanks for linking up to the Slow Cooker Squad’s linky! 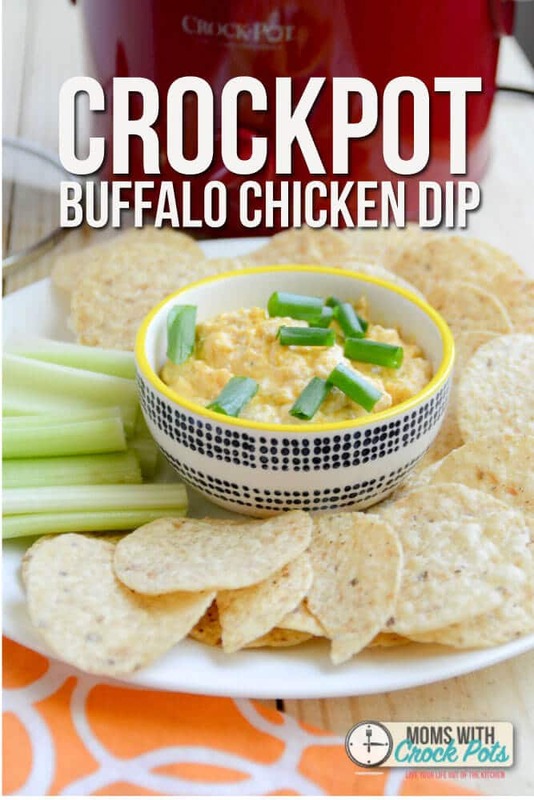 Thanks for the crockpot idea- this is one of my most favorite go to appetizers!